scrub – Jonez, Where We Going? 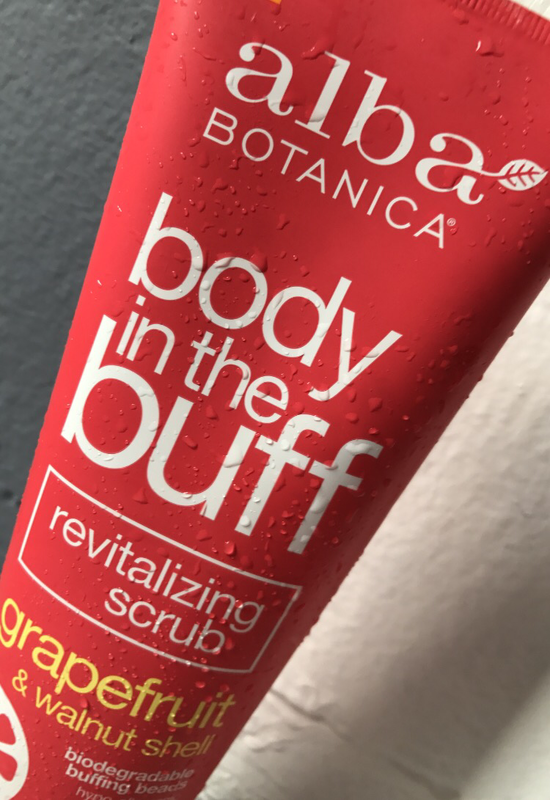 So… I was not feeling the price point when I first purchased Body in the buff by Alba Botanica, however when I got home and used it the first time, I really wasn’t happy! At first try, I thought the micro beads were too small, and not coarse enough to actually be able to exfoliate my skin in the way that it needed to be scrubbed. So I chucked it up as a garbage product, and pretty much vowed to never used it again. I left the bottle in the bathroom, in the corner as it was on punishment for disappointing me, and for being such a pricey product. I ended up buying another similar shaped bottle, so when I used this the second time, it was purely by accident. However the way in how I used Body in the Buff, so I received a different result… which ended in my now love for the product! If you would like the product to work as intended you have to learn to relax. This is not to be used when you are in a rush! I found when I took my time, massage the scrub into my skin, then massaged it into my skin once more I received the best results. It’s such a relaxing experience, if I wasn’t standing up, alone, in the shower I would’ve thought I was at the spa getting pampered. Take your time with this product, close your eyes, knead it like your body is the dough, and you have to get all the air out. Plan to spend at least ten minutes, just rubbing and scrubbing yourself down. After you finish pampering yourself, rinse off, then admire your now glistening skin. I promise your skin will feel smoother, cleaner, brighter. I have a cluster of stars on my chest, overtime I use Body in the Buff by Alba Botanica, my stars are brightened, my skin now sparkling. Even though I was initially unhappy with my purchased, I just needed to make it work for me. The Grapefruit scent is my favorite, I love this product in the morning, as it gives me an extra kick to start my day off right!